One year into my role as Assistant Director of IT Service delivery at The Open University and I am attending my first external “conference”. I’m at the annual get together of all the folks from different higher education institutions who have the joy of supporting the IT platforms and desktops for the eclectic mix that is an academic institution. Not many suits and ties in view (apart from the exhibitors and a sprinkling of heads of IT) and a healthy buzz about the place. And it is in Crewe, so good to see we are not too southern biased! For those reading my blog for the first time, I head up IT Service Delivery for the Open University, supporting our core systems and 6000 staff who look after 5000 associate Lecturers and over 200,000 students. Aleady seen some interesting hardware from Lenovo that might offer some different options for “exec” laptops. 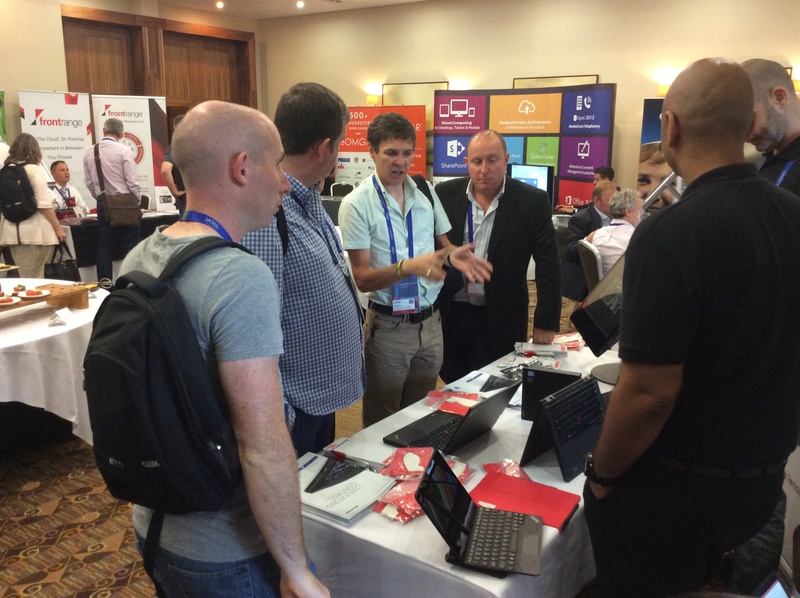 Big push on Office 365 which looks really exciting, look forward to chatting to them later. 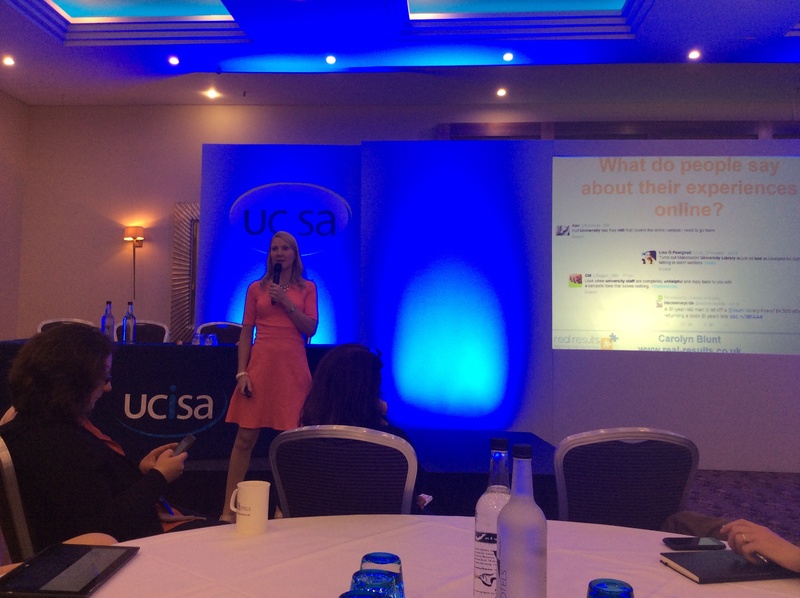 The event is a great way to build contacts both face to face and also through twitter, with a very active #ussc14 twitter feed I am following from @MarkJacot. Chatting to a colleague from Manchester shows me that many of our challenges are similar… To centralise or not to centralise, academic freedom and diversity v consistent systems and approaches. We started with a really good presentation from Carolyn Blunt @carolynblunt on customer experience, and the power social media gives to our customers. We can either use it and engage or ignore at our peril. Gives me the confidence to carry on blogging, engaging through social media with my teams and customers who use our IT services. Wonder if we need to set up an OU IT twitter feed for our internal staff as well as our student feed? Turns out she knows Chickenhead and Griff from the Call Centre personally, so got some good insight in what it is really like there. If you have not watched it, get the box set, it’s real life and if you look beyond the political Incorrectness, there is some great leadership stuff going on in my humble opinion. Gareth Edwards then went offline for 40 mins to talk without the help of twitter about innovation. Then I noticed he was tweeting as he was talking so either he is good at multitasking (unlikely) or he was using some clever technology!! Must be this timed tweeting thing I have heard of but not tried myself. Actually as well as the pictures, there was some thought provoking valuable stuff that I want to follow up. Enjoyed the PechaKucha session, where each presenter has 20 slides and 20 seconds on each slide to get point across. Good to see contributors from the floor sharing what they have done in a short punchy format. Off for dinner and the bar now to meet some more new colleagues. Overall a pacy fast moving day, looking forward to tomorrow. Thank you to the team organising the event. It’s telling that the lady in the foreground of your picture is busy with her smart phone. Maybe she’s finding/reading the Twitter feed?